This once sleepy neighborhood seems to have “The Curious Case of Benjamin Button” syndrome. Each year the area gets more vibrant and lively. In 2012 the LA Times reported that Pasadena has more restaurants per capita than New York City. Add local boutiques, name brand stores, and historical architecture and you’ve got yourself a happening locale. 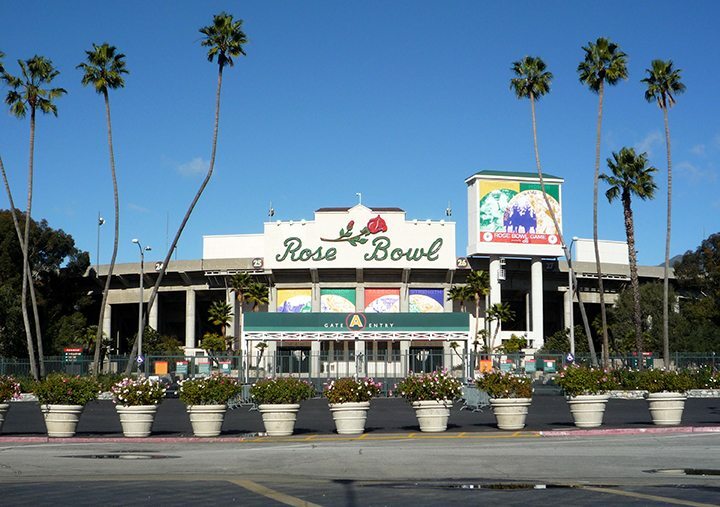 Pasadena is known for hosting the annual Rose Bowl football game, the Tournament of Roses Parade, and its collection of architecture designated as California Historical Landmarks and listed on the U.S. National Register of Historic Places. Two of the most recognizable craftsman style homes are the Ultimate Bungalows designed by the architect firm Greene & Greene. And then you have the mid century modern masterpieces. Millard House, also known as La Miniatura, is the work of architect Frank Lloyd Wright. The Thomson Residence is a 1957 post and beam structure located in the Poppy Peak Historic District in the San Rafael Hills of Pasadena. This two-story glass and wood home is sited on a 7,882 lot that captures the surrounding city and mountain views. 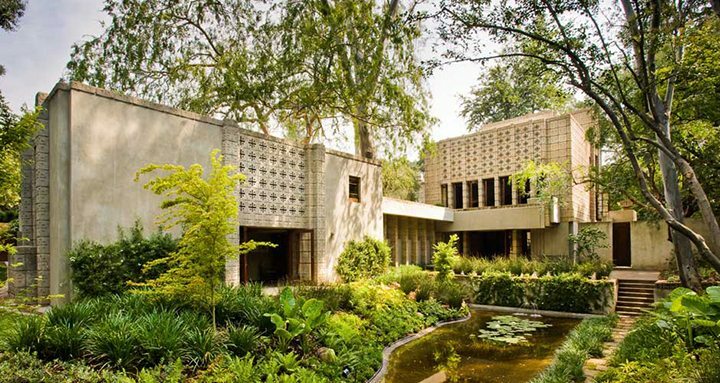 Built by Buff, Straub, and Hensman the home received the Preservation Award from the City of Pasadena for its museum-quality restoration during 2011-2012. The Clark House is a modernist masterpiece. The home was built in 1957 by famed architect Richard Neutra. It rests on a site that affords unobstructed views of the San Gabriel Mountains, Arroyo, and the Rose Bowl. The design-build firm Marmol Radziner was recently tasked with restoring the home. They did an excellent job of restoring the original structure, breathing life back into the landscape planting and pool terrace, and revamping the interior. Pasadena is considered diverse for LA County. Whites make up 39.1% followed by Latinos at 33.3%. At 13.9% the percentage of Blacks/African American is considered high for LA County. Asians follow with 10%. 3.8% of the population falls under other. From the historic places, national landmarks, and local eateries, here are a few of the local faves. Built in 1922 the Rose Bowl ranks as the 17th largest stadium in the world. While it’s best known for hosting the annual American football Rose Bowl Game it’s also the home stadium for my alma mater’s football team the UCLA Bruins. The venue has also hosted several soccer events including the 1994 FIFA World Cup Final, the 1999 FIFA Women’s World Cup Final, and the 1984 Olympic Gold Medal Match, as well as numerous CONCACAF and United States Soccer Federation matches. But the most important event of them all happens the second Sunday of every month. The Rose Bowl Flea Market is one of the best places to score mid century modern furniture, décor, and rare finds. Around the same time the museum formerly known as the Pasadena Art Institute and the Pasadena Art Museum was facing financial hardship. They approached Simon for help. In exchange for using 75% of the gallery’s space to house his personal collection Simon agreed to take over the gallery’s financial obligations. And, of course, he wanted his name on the building. This 16-block area is home to more than a thousand historic bungalow style homes. And through the years the neighborhood has earned the bragging rights to many impressive titles. 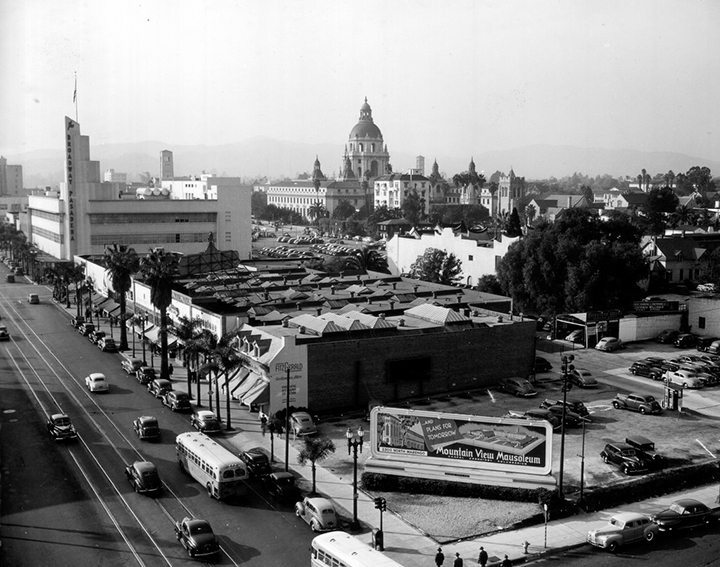 In 1989 the area became Pasadena’s first historic Landmark District. In 2008 the district was listed by the United States Department of the Interior in the National Register of Historic Places. Which then led to Bungalow Heaven being listed in the California Register of Historical Resources. And in 2009 the American Planning Association named Bungalow Heaven Landmark District as one of the 10 great places in America. Using olive oils, chili peppers, and caviar Sushi Roku rocks tradition and delights your palette. Located in Old Town Pasadena this joint serves an array of salads, hot and cold specialty appetizers, and a wide selection of hot entrees all in a modern, zen style setting. iPic Theaters provides the most luxury movie going experience in Los Angeles. Yes, your movie tickets costs more but it’s absolutely worth it. With your dairy-aire comfortably planted in a plush, over sized leather recliner, seat side waiter service at your beck and call with wine, beer on tap, and dinner all come to you. Complimentary popcorn, blankets, and pillows are included. Pasadena is located in the Verdugos region of Los Angeles County. Just 15 minutes from Downtown LA the neighborhood is surrounded by Altadena, Angeles Crest, Arcadia, Eagle Rock, East Pasadena, East San Gabriel, Glendale, Highland Park, La Cañada Flintridge, San Marino, San Pasqual, Sierra Madre, South Pasadena, and the Tujunga Canyons. Pasadena’s zip codes include 91101, 91103, 91104, 91105, 91106, 91107, 91030, and 91031.